The game is a jrpg in a setting of Norse mythology. A big part of the game is learning the language of the world you travel to, which has implications both for understanding what people say but also for combat, as learning a characters language gives them a cooperative benefit. 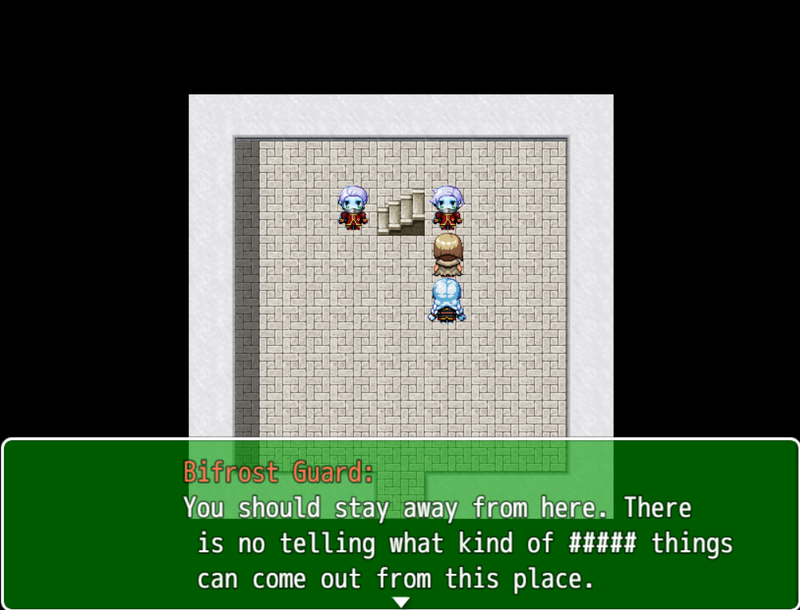 Player has a language value which goes down as time passes, which can be recharged. 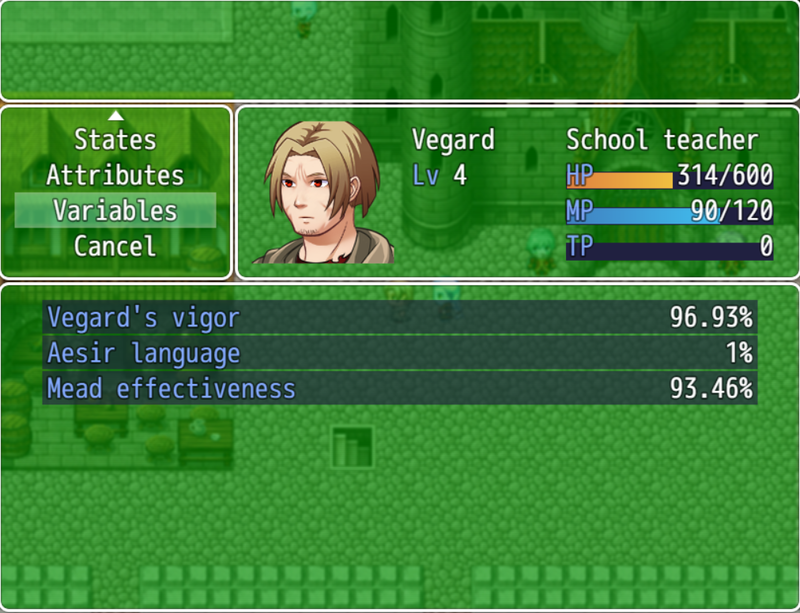 Player also has a comprehension level for each language they understand, denoting in percentage the minimum amount of understanding they can have when talking to people speaking that language. 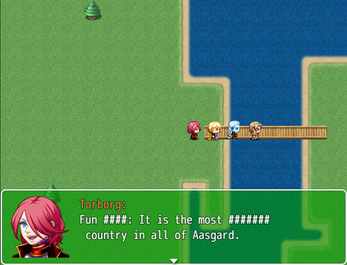 At the moment the only language working is the Aesir language, although another language is programmatically implemented (and more are intended). 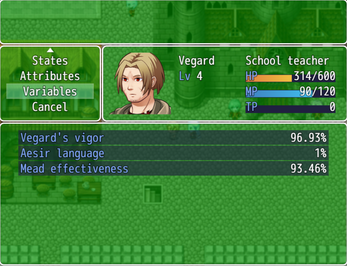 Comprehension of what a game character says is based on the highest of the two comprehension values above. Words spoken that can not be understood because comprehension is too low, will be encoded as #s.
Player gets weaker as he performs actions (at the moment the only action in question is movement). 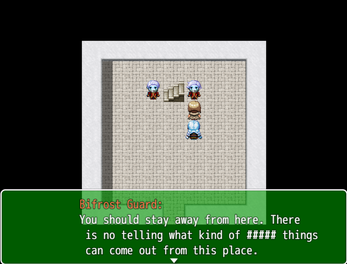 Player needs to rest at an inn or elsewhere to recuperate to maximum performance. - Balance language depletion. Far too slow as it stands, imo. - Separate languages into different languages. - Make other worlds from Norse cosmology. Vanaheim is first up. Include languages for inhabitants. - Create system for soul absorption. Let me know if you find any bugs, or if you have any opinions of what should be or shouldn't be in the game, as well as clear imbalances in the game!